Several East Multnomah County anglers cast their lines in honor of a retired city of Gresham employee during a steelhead fishing derby earlier this month. 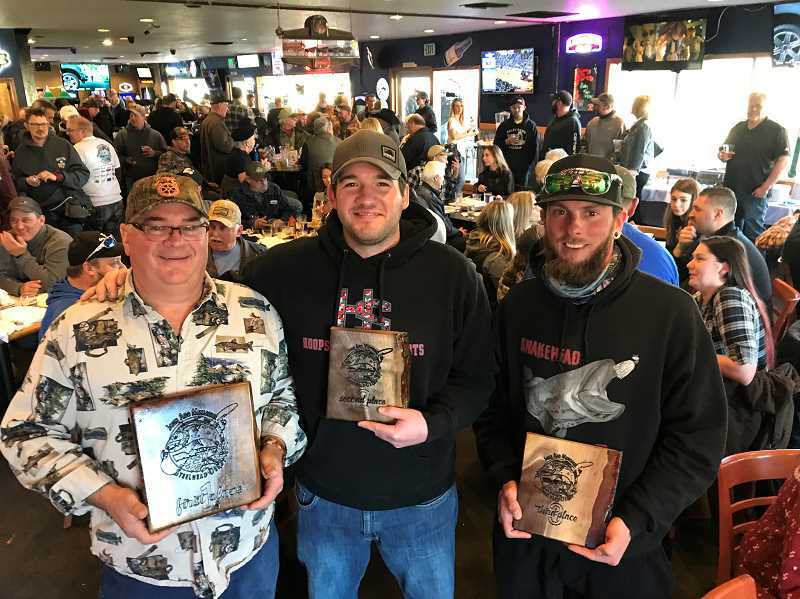 Dave Walker Sr. of Damascus took the top honors Saturday, March 2, at the John Aho Memorial Sandy River World Championship Steelhead Derby celebrated at Gresham Golf Course, 2155 N.E. Division St.
Walker's 11.8-pound catch earned first place and $400 for the largest fish. Second place and $150 went to Chris Walker of Maryland with an 8.5-pound steelhead, while third place and $75 was claimed by Dave Walker Jr. of Happy Valley for his 8.2 pounder. The charity tournament drew 72 fishermen and raised $4,000 in scholarships for the Pacific Northwest Section of the American Water Works Association. Aho, who lived in Troutdale, retired from the city of Gresham and was an enthusiastic volunteer for the American Water Works Association. He was especially passionate about serving on the scholarship committee that helped local students afford a college education. Aho received the association's Heart and Soul Award in 2008. He fished throughout the Pacific Northwest and was a well-known, part-time fishing guide on the Sandy River. For more information about the tournament, visit www.johnaho.fun.